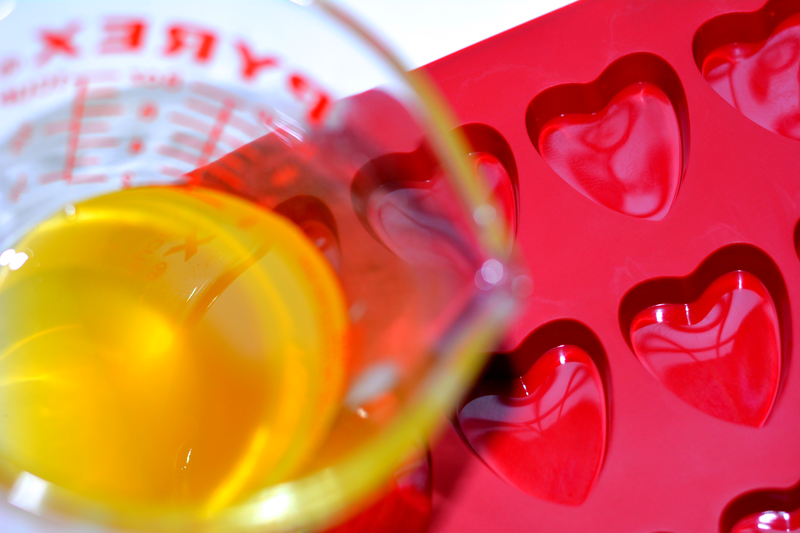 Last week's Valentine's Day gift for him post contained an easy diy to make for yourself, friends, and of course lovers -- heart shaped massage bars. Here's the step by step tutorial in case you want to give the gift of touch. 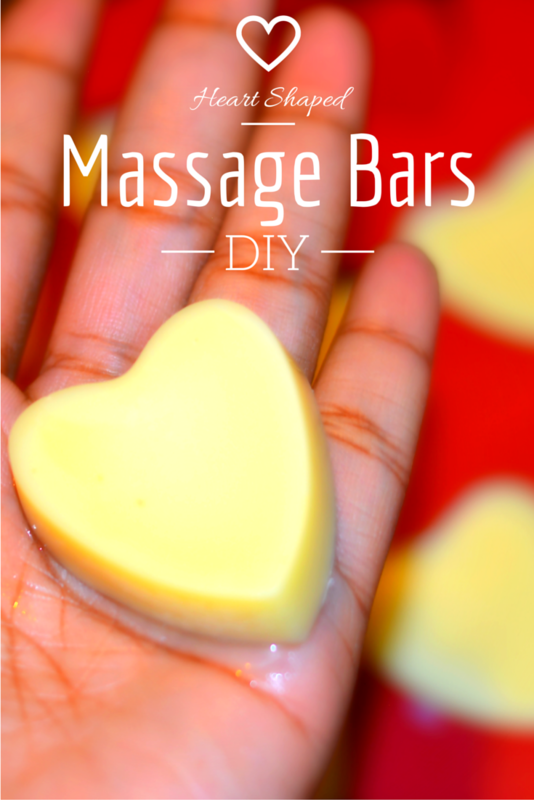 The bars smell amazing, feel good on the skin and the ingredients are all natural. 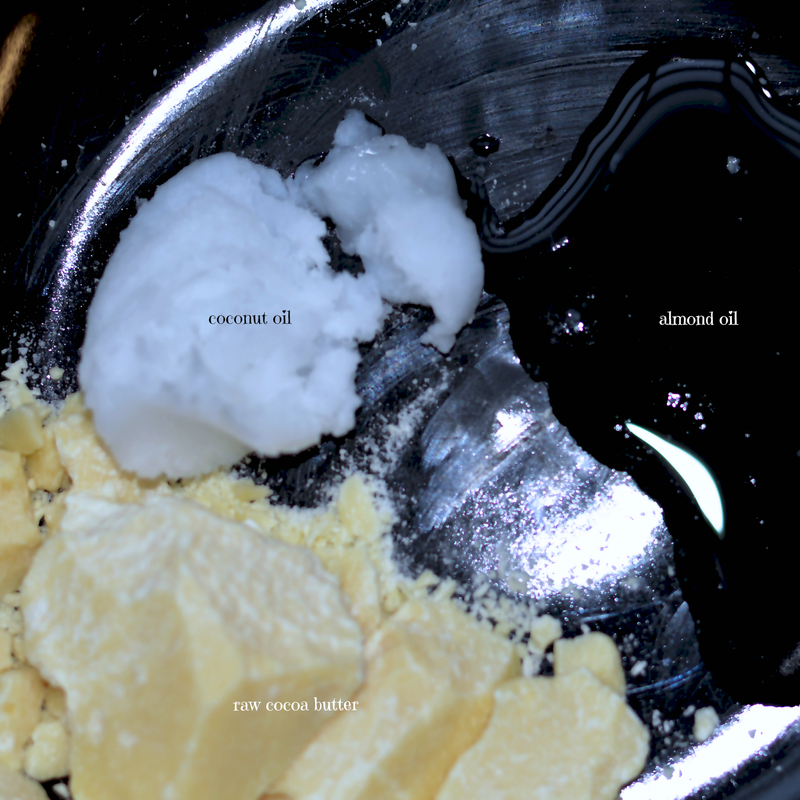 Cocoa butter is used to make chocolate but it's also a very emollient moisturizer. 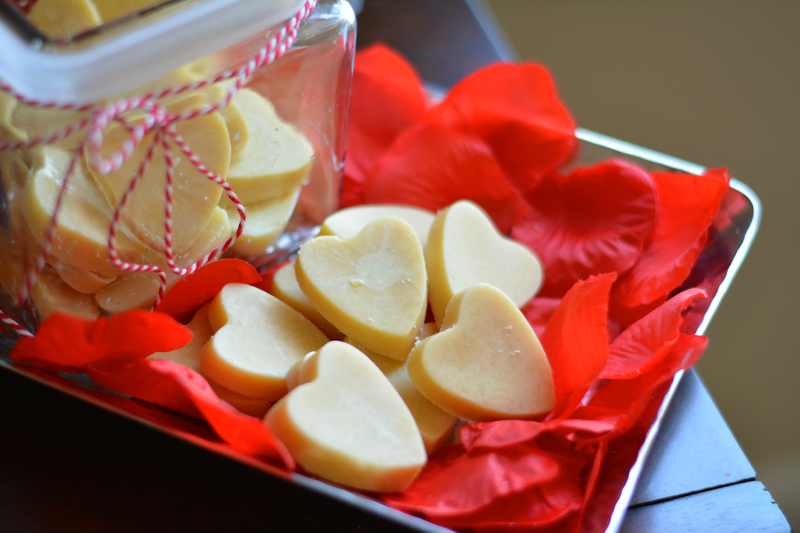 You can use it as a lotion bar too and treat yourself this Valentine's Day! They're great for preventing dry, itchy skin or as a salve for the treatment of chapped lips or burned skin. 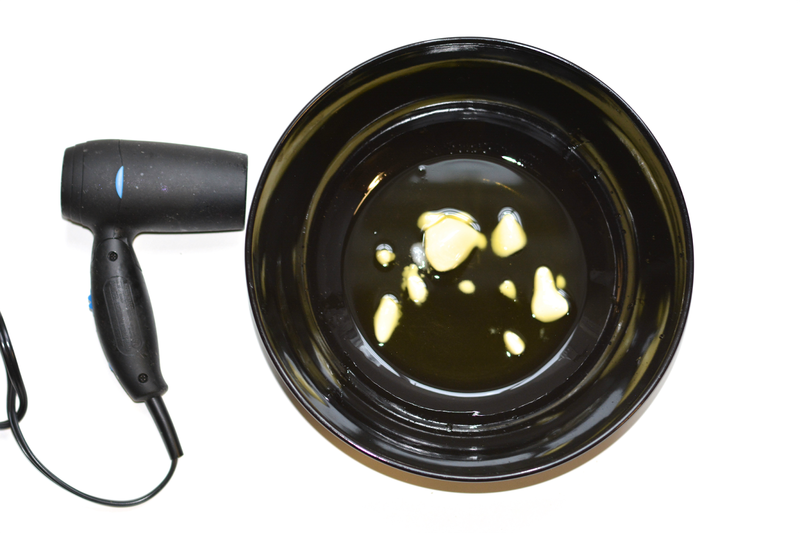 Step 1: Melt the butter and oils together in a large bowl. I used a hair dryer. I like using it because it doesn't boil the ingredients. You can melt it on the stove top too. Step 2: Place empty mold on a cookie sheet. Pour melted butter into mold. Step 3: Place in refrigerator and allow to cool for about an hour. It should be fully solid when you remove them. 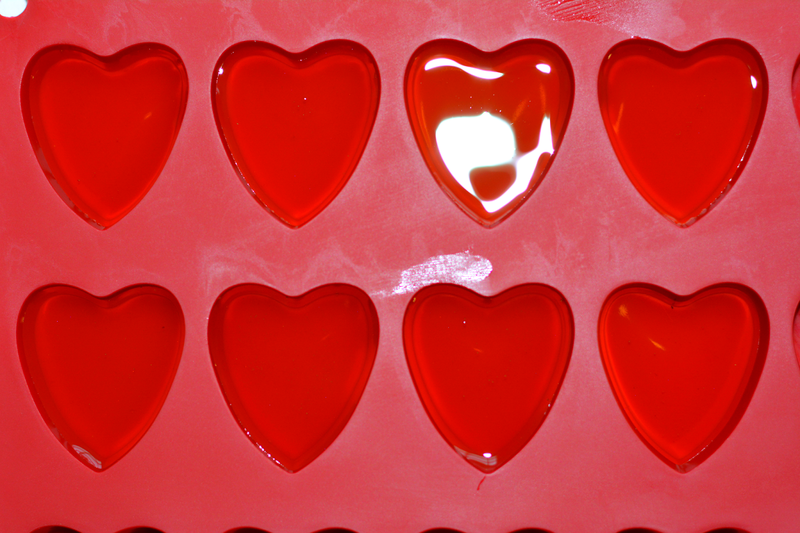 Step 4: Gently pop them out and store in an airtight container or the refrigerator. The bars will start to melt in your hand if you hold them too long. Enjoy. 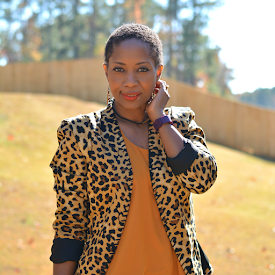 Do you use cocoa butter as a moisturizer?